Realidades 2, Chapter 5A. The preterite of oír, leer, creer and destruir. 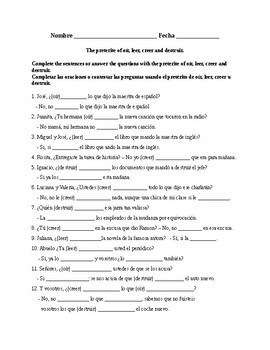 With this activity students can be assessed or practice every single conjugation of oír, leer, creer and destruir. 12 questions, 29 conjugations in total.